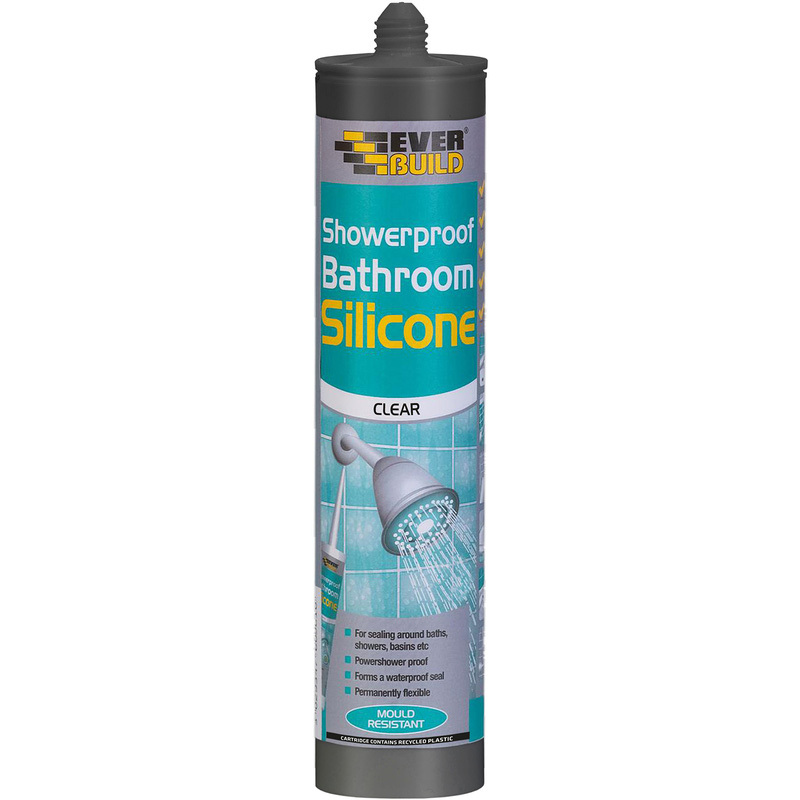 Showerproof Bathroom Silicone 310ml Clear is rated 4.7 out of 5 by 54. Rated 5 out of 5 by bodgeitandscarper from Bathroom sealant A good price, And a handy size tube for my use. Rated 5 out of 5 by jimmy jock from good stuff Good perfomance on shower tray..